Quar Wood, Gloucestershire (1857), designed by J. L. Pearson for the Rev. R. W. Hippisley. Marked lower right "Jewitt & Co." Drawing from Eastlake, facing p. 304. 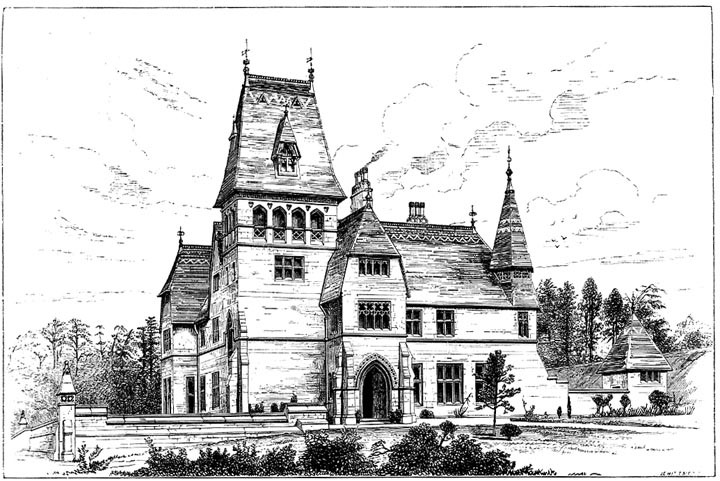 Eastlake comments: "The saddle-back roof and open loggia of the tower suggest the influence of Continental study, which, as time went on, considerably affected Mr. Pearson's taste. It was, however, in his churches that this change became most apparent" (304).